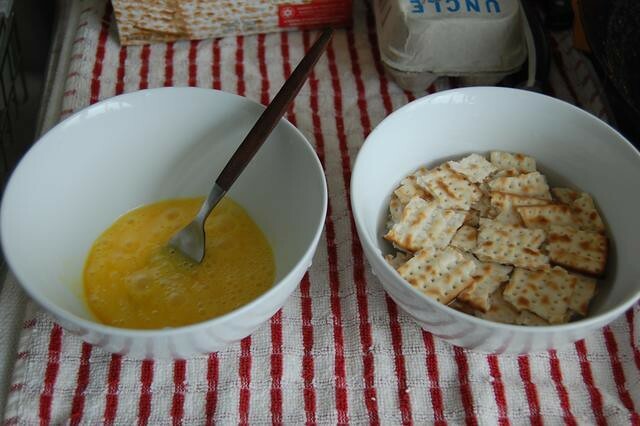 soak the matzah, beat the eggs | Flickr - Photo Sharing! Soak the matzah for 30 seconds or so to or until the outside is just softened. Soak less for crunchy matzah brie, longer for softer.